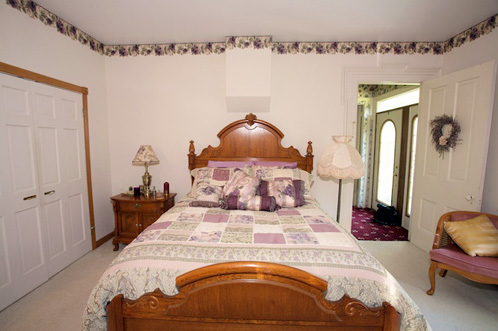 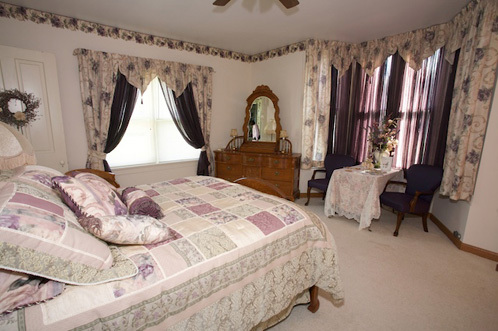 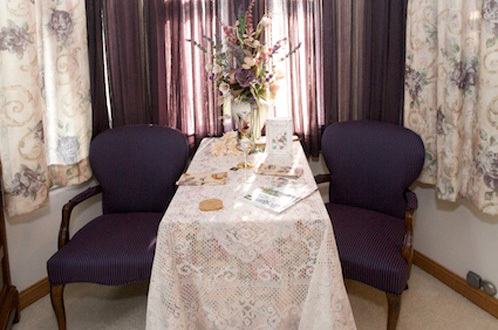 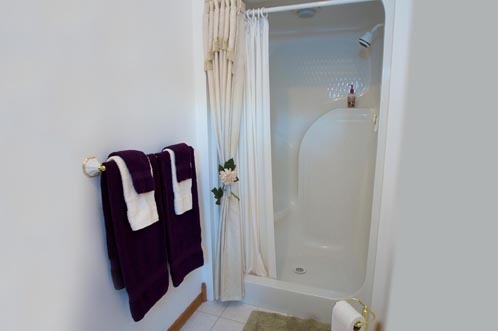 Enjoy the warmth and luxury of yesteryear in the elegant West Wing Room! 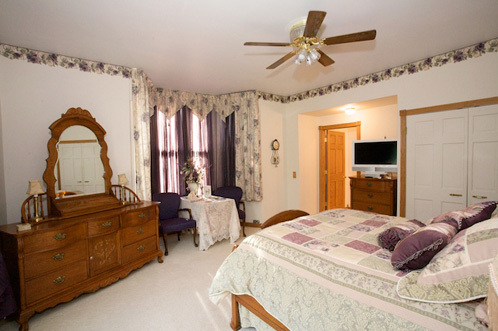 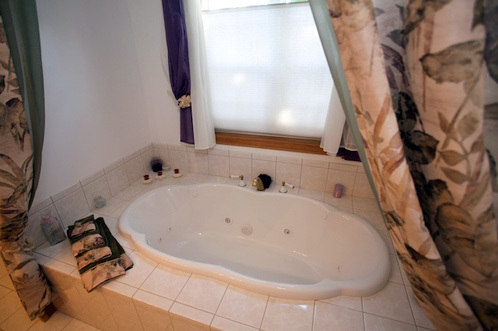 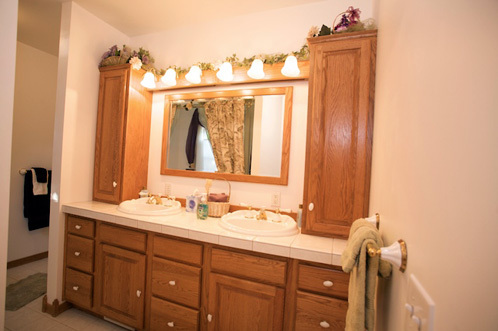 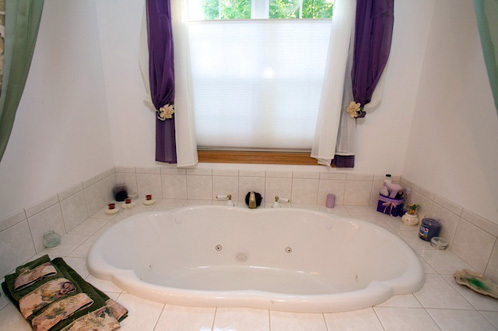 Behold the antique Queen sized bed originating from Allegan's own historic Baker Furniture company and relax in your private bath featuring a large Jacuzzi tub, separate shower, and double sinks. 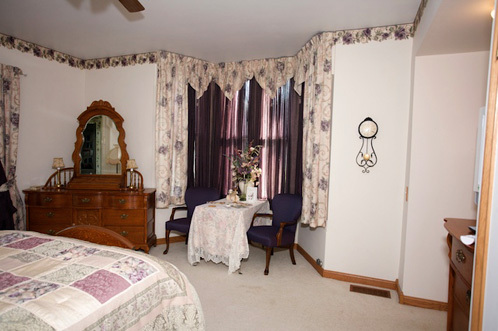 The West Wing Room's light, airy ambiance, flowing drapes and blooming décor is the perfect domain for those seeking a restful and peaceful getaway. 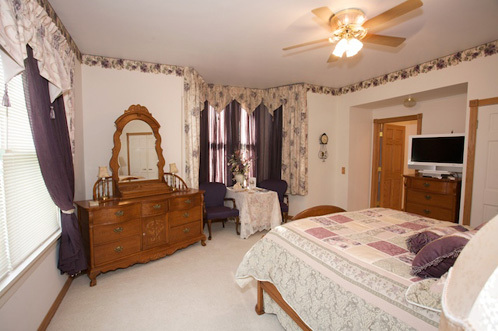 Baker furniture with queen bed, table and chairs, ceiling fan, cable TV, free wi-fi, electronic remote controls for lights and fans.